Carl Andre was born in 1935 in Quincy, Massachusetts (USA). In the late fifties he made his first sculptures in wood, inspired by Constantin Brancusi, whose use of found materials and assemblages of heterogeneous elements were an ‘apotheosis of materials’ to Carl Andre. 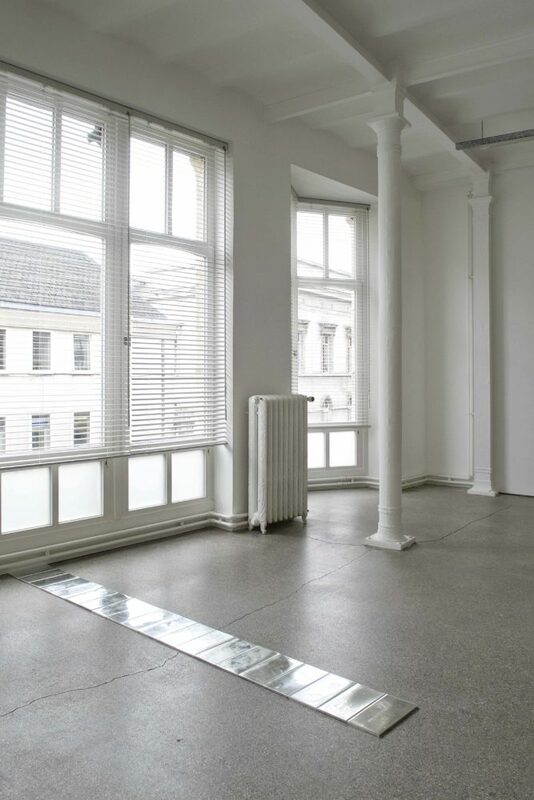 Constantin Brancusi’s seminal ‘Endless Column’ made a particularly strong impression on Carl Andre. Through the vertical repetition of identical modules, which abolishes all internal hierarchy, this work pushes the boundaries of the sculpture to the infinite, without losing the ‘primordial union with the earth’. 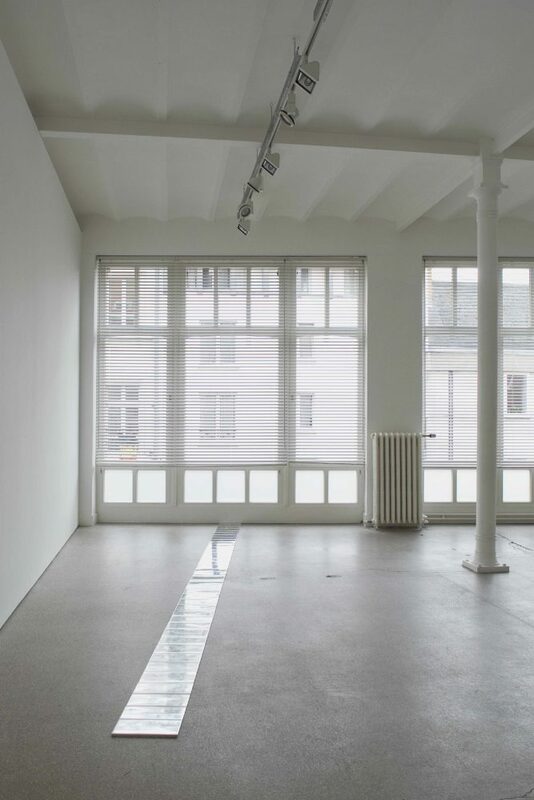 By ‘laying flat‘ Brancusi’s work, Carl Andre addresses a complete re-definition of the ways in which a sculpture is usually perceived or made. 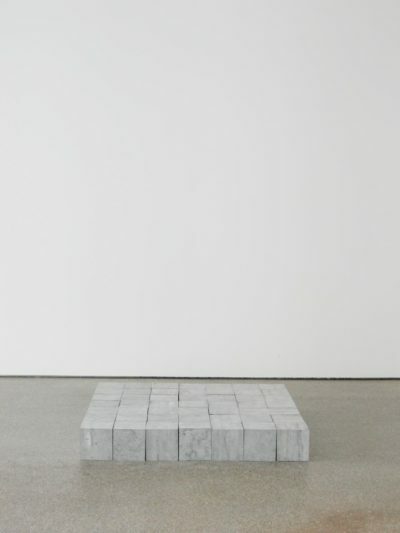 Carl Andre’s work is exceptional in that it definitively turns the page of classical sculpture in art history, and yet never ceases to consider art history attentively and intimately relate to it. 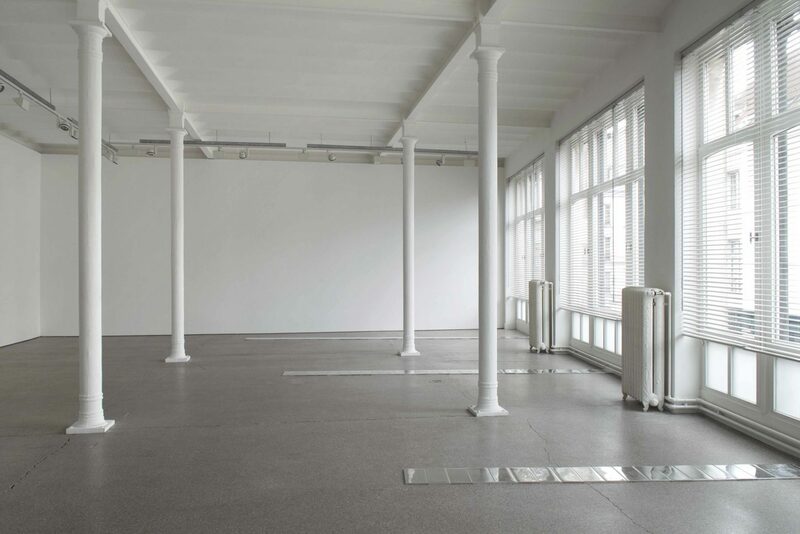 Since 1959, Carl Andre stopped sculpting in the strict sense of the word. He has used his material (mainly wood, metal and stone or bricks) in the form of modules with standardised dimensions that are determined by the cut only. The materials may be of industrial origin, or simply found, but they are always given a ‘form for which society has no need’. 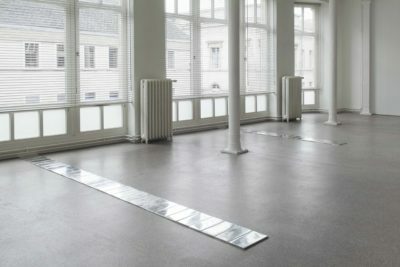 The elements or particles – referring to the Mendeljev’s periodic table – are connected to the ground in three ways: stacked, and spread flat either on a grid or contiguously. 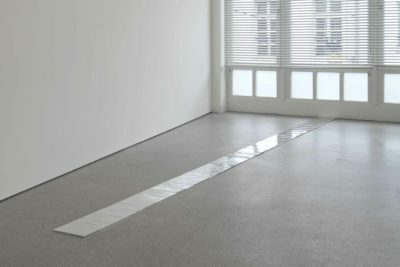 Although his pieces rarely reach above human height, they usually demand a physical involvement from the viewer. 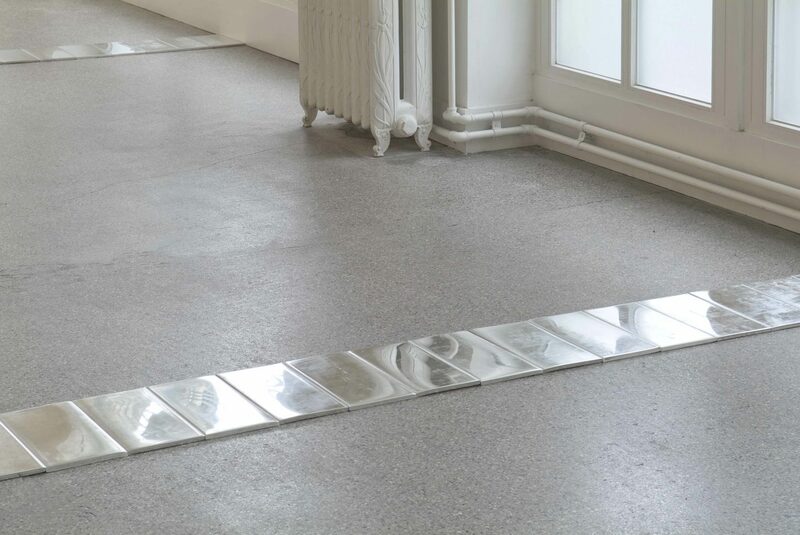 Walking on a work by Carl Andre gives a physical sensation of its mass and volume as well as of the specific qualities of the material: colour, touch, and even smell, e.g. when he uses cedar wood. Over nearly 50 years Carl Andre’s work has continued to address this explicit question: what is the real space of sculpture, if not the point where two planes meet and the connection between the two? And indeed, each work by Carl Andre illustrates how each space is linked to another space. For this exhibition in Galerie Greta Meert, the artist has brought together two different materials: Belgian blue stone in compact blocks of 15x15x15 cm, and silvery-grey tin that he often uses for its absorptive quality and its soft luminous reflection.